Every customer should now be viewed as a digital customer. Almost all have constant connectivity by smartphone, tablet or computer and therefore are always connected. Retailers can take advantage of this lifestyle shift by embracing in-store technology to not only increase footfall, but also set themselves apart from competitors and strengthen customer relationships. 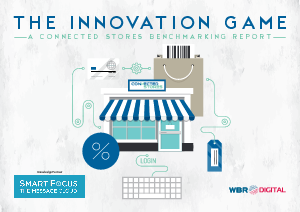 The Innovation Game Report uncovers which technology is the attracting the largest investment, how some of Europe’s retailers are responding to the challenges of integrating digital technology in-store and ultimately what they expect to be the biggest benefits on consumer shopping behaviors. Download the report and see how you can transform your customer’s in-store experience today.